COOKING NOW IS ON OUR YOUTUBE CHANNEL. I have only done a couple to date but I am working up to more. OAT MILK, KOMBUCHA, a look at my SMALL kitchen, gluten free pancakes, and pizza bases. It’s a bit of a hoot because as soon as I set up for a video people come to the door, the phone rings, and the cat wants to join in. It is more like an episode of “I Love Lucy”. Definitely not something even Mary Berry would admit to…. I am working on a new project, matching reworked fabric gloves to famous hands. Buddha, Madonna, Ghandi, Mother Teresa and so on…. Could you help with any lovely old fabric gloves in any condition (don’t have to be perfect)? I am also looking for sewing stuff – lace, ribbons, embellishments, a wooden darning mushroom and a wooden glove finger mushroom. If you have anything I would appreciate it, and if they come with a short story I will print it in the catalogue with the gloves as a back story. Once the gloves or bits come to me they will be used, and not returned. I intend to donate the collection at the end intact – the individual pieces will not be sold. DATE of the next Teacher Training: Sunday 5thMay 2pm to 4pm at my home studio (37 Morris Road in Woodend –There is no need to book. Bring writing materials, and be early. If you are teacher Training student then the cost of the afternoon is $20. This fee applies to everyone. (Visitors – and/or not yet training – $30). BENDIGO Teacher Training classes– Next class is the 4thJune at 3.30pm. Crusoeden Health. Turn at the Metricon building on the highway in Kangaroo Flat just up from Bunnings on the same side. We are your lineage. You can pretend, you can take cheaper options, you can use all kinds of rationalization BUT WE ARE YOUR LINEAGE, your yoga family. No-one else can be. PLEASE, PLEASE CHECK YOUR REGISTRATION. You need to be currently registered for your insurance to be valid, and you will need to supply a copy of a valid registration to be insured. Please check your insurance requirements – keep up to date. We are moving to AON insurance. You will be able to insure on-line BUT you will need a current registration to prove you are a member with us to get the advantages that a big firm like AON can offer. AJG quoted $3,600 to insure our studio – AON did exactly the same insurance for $376 with no fuss, no in depth passport type questions….. When you open your own studio, you will be interested in this. NONE DURING THE SCHOOL HOLIDAYS. I write books to help you in your course. Please download them, and then please use them in answering your modules.HYPERMOBILITY – The Course…. A certificate course. If you teach yoga, you need this. No excuses. AM I OLD AND CONFUSED? POSTAL VOTING: I don’t know whether you have noticed, but that red and white postal voting application appears to have been sent by none other than THE LABOUR PARTY and not the Electoral Office. The return address on the envelope is the labour party. Do you want the labour party to have all your information? When you go to the polling both they only need to confirm you are a voter on the rolls, on the postal vote application the labour party has masses of information about you at their finger tips. Voters beware! At the very least BE AWARE. MY FAMILY NEWS; Don’t often CROW, but, but, Jesse has received an Academy Award for his work on SPIDERMAN THE MOVIE (he is an animator). I am terribly proud of both of my children – they have always been winners!!! Always. YOUTUBE CHANNEL: THANK YOU TO ALL THOSE WHO HAVE SUPPORTED our channel. It has become more like a Vlog, rather than just an opportunity to teach. In order to get a direct link, we need 100 subscribers. Please google “Jahne Hope-William YouTube” have a look at the videos and subscribe IT IS FREE. The videos that are there are tarot, hypermobility, Yamas, purushatras. MY “COOKING” NOW IS ON OUR YOUTUBE. I have only done a couple to date but I am working up to more. OAT MILK, KOMBUCHA, and a look at my SMALL kitchen. On the basis of this small start, a THERMOMIX person who has been following me for a few years now, and asking me to buy a thermomix (and introduce it to you) has once again popped up. I explained to her that my objection to thermomix was not that it isn’t useful, and I know many cooks would choose their thermomix over their spouse if there was a choice to be made. For me, I live by the YAMAS, especially in this case APARIGRAHA. Imagine this rep when I told her this! She didn’t have an immediate reply up her sleeve. Why did I choose this yama“take no more than you need”? In my kitchen which does not have a stove or a dishwasher (I don’t need them), I can still grind grains, process, blend, mix, whip, steam…. And no thermomix. Do I need to spend $2,500 to save time? I am not sure I do… I could get a person to come and cook for me a couple of times times a week for this. And what about LITE AND EASY, they could do a few meals for me too. Anyway, the rep. is coming on Friday to try and change my mind. I will let you know. YAMAS FIRST. DATE of the next Teacher Training: Sunday 5thApril 2pm to 4pm at my home studio (37 Morris Road in Woodend –There is no need to book. Bring writing materials, and be early. If you are teacher Training student then the cost of the afternoon is $20. This fee applies to everyone. (Visitors – and/or not yet training – $30). We will be looking at the Cerebro-Spinal Fluid again.. relative to everything else that we do, especially restorative yoga….and assessments. BENDIGO Teacher Training classes– Next class is the 14thMay at 3.30pm. Crusoeden Health. Turn at the Metricon building on the highway in Kangaroo Flat just up from Bunnings on the same side. TAROT: Also on the videos. I am walking the viewers through the cards in my Revelation Tarot Deck. The new book will be loaded by the end of March. I am starting to introduce my next 13 cards. As soon as they are printed they will be on ETSY. Google “Jahne Hope-Williams You Tube” to get there. I need 100 subscribers before we are granted an easy link. Our graduates are letting us know what fabulous results they are getting with this technique. Their students/clients tingle for days, and days after receiving a healing. Please let me know if you are interested in a healing or a class, and we will see what we can organise. Go to www.pptmassage.moonfruit.com to learn more. It has been an interesting week. On Wednesday my computer crashed and whilst I wait for a fix, I am back re-learning my tiny laptop Air. On Thursday (my day off) I went to the Theosophical library as I usually do whenever possible on my day off. I was researching for the coming teacher training, and the masterclass in Shepparton. I knew the yogi/writer I was looking for. As I passed down the isles of delicious books, I found the perfect book. It dropped into my hands, perfect. I took it to the front desk to check it out (still by card and stamp!). The librarian started to go through the lending out process, and suddenly stopped, because she had noticed that the book was a first edition, rare and not able to be removed. Luckily, because I am a member, and a regular (a member for about 30 years – my file is right up the top of the filing wall of shelves and can only be reached by a long ladder), she allowed me to take the book. When I got on the train, I was impatient to start the book and flicked through it. Imagine my surprise when I found beautiful crisp notes (money) between some of the pages, used as bookmarks. Obviously someone who has more money than me. Whatever, it was a great find, and to me a sign that I was looking in the right direction. When I got home, I rang the library to inform them of the find. The money was not theirs, it was not mine so I have put it to good use, giving it to missionary projects at the Church and elsewhere. It was not a big windfall, just an “hello” from Spirit. Thank you God. I have been thinking about identity. More people ask me about this than ANYTHING ELSE. These are the steps that my life has taken in that regard. DIETY – I first encountered Spirit when I was six. IDENTITY – although I didn’t feel settled in it, this encounter formed my identity. DESTINY – When I knew my identity was in yoga, spiritual yoga, I knew my destiny. AUTHORITY – embracing that destiny has given me authority on my path. I was able to do and say and be those things that resonate with me, and allow me to teach from strength. VICTORY – this has been the source of my victory. It is not “the end of the road”. There is more to learn. It can be like this for you too if you are prepared to do what you were meant to do. Not what you THINK you SHOULD do. Once you can change your mind, you can change your life. Yoga may be your vehicle as it has been mine. Not the only thing, but a vehicle. A way to get from here to there. The greatest moments for transformation are in the moments of transition, when the road is revealed to you. It may not be an easy road, but that is OK.
Don’t forget, Teacher training is on the first Sunday in the month (7th April) at my studio, 2pm to 4pm, and yes, it is school holidays. Not far away. Please make the opportunity to come. We always have breakthroughs and everyone is welcome. At the Studio, 37 Morris Road in Woodend. Please park on the white gravel. Cost: At the Studio and in Bendigo, there is a cost $20 for trainee teachers, $30 for everyone else., for 2 hours of concentrated trainings from Jahne. BENDIGO Studio: Teacher Training,9th April, 3.30pm to 5pm. Crusoeden Body, Church Street, Kangaroo Flat (not far from Bunnings, same side of the street, behind the Metricon Building – at the traffic lights after Bunnings, turn right). SHEPPARTON MASTERCLASS: “B-Yoga” in Kialla (Heidi VanMannenberg). Saturday 13th April. vanmaan@hotmail.com for details and to book. This will be a splendid class. I have a few subjects to cover prompted by misunderstandings I have noticed recurring on your modules. You will also see how I teach classes… how I assess clients, how we move them forward. For the past couple of months I have been investigating new insurance opportunities for our students, and graduates. It has been a real grind. I have got down to a short list, however, I am pretty sure that we will be going with AON. They used to be the insurers of IICT, so they know yoga, and the modalities that we are likely to be engaged in. One agency quoted me $3,600 (!) for a studio policy. Guess what, they are not getting my business, or yours I would think. I don’t know how they magic’ed up that number, but they did…. I must look or sound impressive for them to imagine that $3,600 would be within my budget. AON seems to be the simplest – and they listen. You can sign up on-line or by post. Even if your registrations are not due yet, check them out. They are in Melbourne and accessible. Everyone I have been dealing with at AON knows about yoga first hand – the senior account exec. 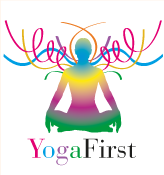 is a trained yoga teacher, and others have mothers/sisters/ or relatives doing yoga. So I didn’t have to tell them how we train or how we teach. AON can even insure you when you travel to different countries to teach – even the USA! And they are economical. Prices go up everywhere for everything, but I think AON are competitive. The cover you request determines the cost of the policy. When you want to be insured, your registration with us either Student or Graduate level will have to be current, and needs to be sent with the application. They will check. You will need first aid certification including CPR. You will also have to make sure that everyone who trains with you signs a waiver (you had a sample in your initial pack). All these help to keep the price down as you are taking up part of the risk. All the courses you do through us are recognised by the insurance company AON, IF YOU HAVE A CERTIFICATE FROM US TO PROVE YOU HAVE DONE OUR COURSE (THE MODALITY) TO THE REQUIRED LEVEL.. AND IF YOU ARE REGISTERED WITH US –THEN YOU CAN BE INSURED FOR THAT MODALITY. If you have a modality that you did not do with us, and does not appear on their list, let AON know, and we can get it covered – you will need a certificate to prove you have trained in that modality. Once AON finalise the applications from us, their representation becomes official, and we get the modalities registered, we can go ahead. There could be slip ups, and hold-ups, but I think we are just about at the end of our negotiations. Please register with us. We are your lineage, your parent. You can adopt and be adopted, but you only have one birth parent in yoga, and we are that school. I know you could register with other Yoga Schools and academies, but why would you? Even at church this morning people were grumbling that Yoga was no longer rebated by the health funds… so there is no reason to register with anyone else. You aren’t going to get anything different than we provide, and if you have registration from us, you will get your insurance easily. AON recognise our Registration. Plus, your registration keeps things running smoothly – without you, we can’t do what we do. There are other schools that say they are NON-PROFIT. Honestly, do you know any business that can run on air? None. They have large staffs, large budgets, advertising and marketing departments. Even if some are volunteers, someone pays for core staff. What is left over goes to “good works”. At our Institute we run on the smell of an oily rag. We have no large budgets or overheads, and everything I can give goes back to our students keeping our certification and registration low-cost. Please, if you have not subscribed do so today. I have another video to load, but I can’t until my computer is well again. So, Tuesday evening or Wednesday will be the next opportunity when this can happen. Go to google and “Jahne Hope-Williams, YouTube” and subscribe. Please watch the videos, and use the information in your modules. I don’t do them for entertainment, I do them so you can get a greater understanding. The Yoga Studio will be closed for the school holidays from the 8thApril to 22nd April, although meditation classes on Tuesday at 11 and Sunday at 9.15am will be as usual. Any unplanned changes will be on the web, so please check if you plan to come during the School holidays. Also on the videos. I am walking the viewers through the cards in my Revelation Tarot Deck. The new book has been loaded. I am starting to introduce my next 13 cards. As soon as they are printed they will be on ETSY. Google “Jahne Hope-Williams You Tube” to get there. I need 100 subscribers before we are granted an easy link. DOWSING CLASS:Tuesday 2ndApril 7 to 8 pm at The Studio $25. Don’t forget to Register if you are teaching even if you have not graduated (especially if you have not graduated), insure and re-subscribe.